Bee Gees Way is a 70-metre walkway in Redcliffe, free to see every day and night, celebrating the illustrious career of the band. The Moreton Bay Region is the home of the Bee Gees, a group whose tunes have been heard all over the world, having sold more than 200 million records. The Moreton Bay Region pays tribute to their legacy with the Bee Gees Way. Every night from 7pm to 9:30pm, visitors witness light shows set to the Bee Gees’ greatest hits, such as “Stayin’ Alive”, “How Deep Is Your Love”, and “Night Fever”. Bee Gees Way also hosts more than 60 captioned photographs, 13 album covers, personal stories and reflections, and a 70-metre mural featuring artwork of Barry, Robin, Maurice, and Andy Gibb. 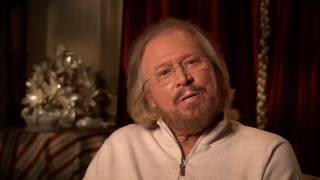 It also has a giant 5.3 square metre video screen playing exclusive interviews with Barry Gibb and never before seen home movie footage, along with Bee Gees songs.